Tired in the morning? Maybe you woke up in a wrong sleep phase. 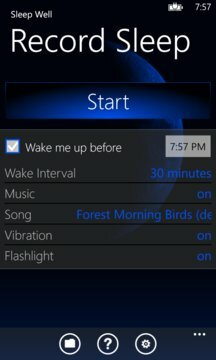 This app will analyse your movements while you are sleeping and wake you up in the perfect moment. 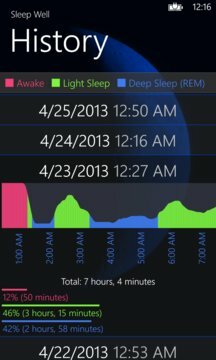 - Long-term statistic keeping track of sleep phases, duration etc.